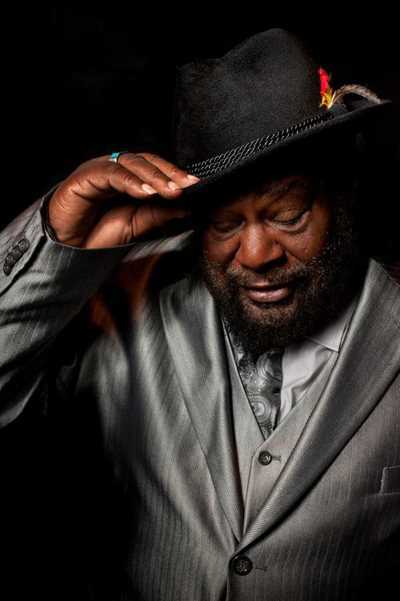 Parliament-Funkadelic fans are seeing a lot more of George Clinton these days. It’s not as if Clinton, leader of the multiband, multimusician collective, has ever been hard to miss. Even without his trademark multihued dreadlocks, Clinton cuts quite a figure onstage, whether decked out in a dapper suit or an Afrofuturistic costume. But in recent years, Clinton, now 76, has been taking the spotlight more and more at Parliament-Funkadelic’s marathon, three-plus hour shows. In the 2000s, you might have seen Clinton sing a song if you were lucky — mostly, he seemed content to let the 22-plus musicians onstage do the work and revel in the chaos. Now he’s singing lead vocals on a number of songs he sang on the original records. Clinton has seemed particularly energized onstage, in the studio and in the business aspects of the P-Funk empire since kicking a much-publicized (in Rolling Stone, his own memoir and more) crack-cocaine habit. In 2014, Funkadelic (the more psychedelic, experimental side of the Parliament-Funkadelic equation) released its first album of new material in 33 years, the three-disc, 33-song “First Ya Gotta Shake the Gate.” Continuing a tradition of collaborating with artists he’s influenced such as Red Hot Chili Peppers, Ice Cube and Snoop Dogg, he worked with Kendrick Lamar on 2015’s “To Pimp a Butterfly,” and was subsequently introduced to producer Flying Lotus. More recently, Parliament (the dancier side of the equation) dropped “I’m Gon Make U Sick O’Me” online. The single precedes a new Parliament album, “Medicaid Fraud Dog,” which should be released next month, Clinton said. The multiple names can get confusing (as can the list of musicians who have played in the group — there’s a full Wikipedia page dedicated to it, arranged alphabetically). Clinton’s first band was a ’50s doo-wop group called The Parliaments, which scored a hit in 1967 with “(I Wanna) Testify.” Subsequent label disputes kept him from using the name, so he went out on the road with the same band, rechristening it Funkadelic. When the Parliament name was clear to use again in 1970, Clinton began releasing albums under both monikers (and later, with P-Funk All-Stars and solo). “I’m Gon Make U Sick O’Me” fits that mold, marrying a trademark P-Funk bass-drum groove to modern, synth-heavy production, complete with a throwback R&B bridge. Subjectwise, things get a bit heavier, though. As the song and album titles suggest, Clinton’s lyrics take aim at pharmaceutical companies and prescription drug abuse. Between these releases and touring, Clinton has found time to guard the P-Funk legacy. He’s been in and out of court trying to get the copyrights back to his songs, and plans to release a documentary about that process soon. He’s also in talks with rapper Ice Cube about making a movie (“‘Black Panther’ is so much like ‘The Mothership’ and the old ‘Motor Booty (Affair),’ that anybody’s calling us now want to do movies on us,” Clinton said). On top of all that, he published a memoir, “Brothas Be, Yo Like George, Ain’t That Funkin’ Kinda Hard On You?”, in 2014.